The shop will be on sabbatical until Nov 12. Orders may be taken but not shipped until then. Discover how lost wonder was found in the 17th century and created the world we know today. 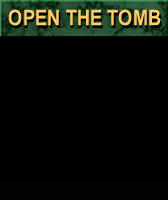 Uncover the secrets of a mythical tomb that changed history and recover your own sense wonder. This magical tomb is brought to life in a Do-It-Yourself model kit. 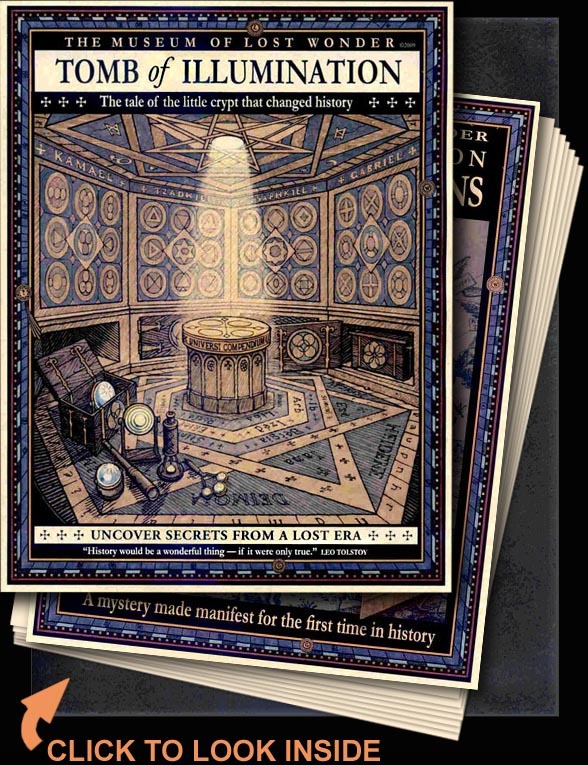 Join in the adventure, as you manifest this miniature of the cosmos, while progressing through the grades of the secret society that created it. Includes a 12 page monograph and 11 model sheets with an 8 page instructional booklet. All exquisitely rendered in full color and nestled in a handsome leatherette binder. All items ship surface mail. Allow 1-2 weeks for delivery. For rush airmail service, press the button below for additional charges. In 1604, a band of European brothers—the last remnants of a secret society—went on a journey to discover the hidden past of their mysterious order. Their explorations led them to a hidden underground vault, the final resting place of scholar and mystic Christian Rosenkreutz, the father of Rosicrucianism. Tomb of Illumination sheds light on the life of Rosenkreutz and the earth-shattering changes that he helped bring about in realms such as politics, religion, science, literature, and social rights. 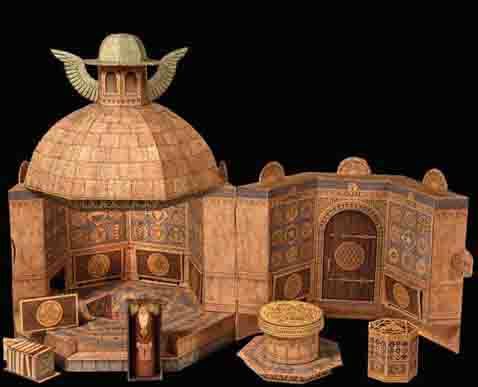 Additionally, this deluxe folio includes a full-color scale model of the fabled seven-sided, domed tomb of Christian Rosenkreutz, along with various miniaturized reproductions of his books, magical tools, and scientific instruments, all painstakingly drawn and colored by Jeff Hoke, creator of The Museum of Lost Wonder .